The Outback town of Isisford was settled in the mid 1800s and the architecture reflects the lifestyle of it’s humble beginnings. The Outer Barcoo Interpretive Centre, a museum depicting the evolution of nature from 100 million years ago to the present. The feature attraction is a life-sized replica model of Isisfordia Duncani, who lived around 98 million years ago. He was the evolutionary ancestor of all crocodilians that live on earth today. The Bulldog fish was also found in the area dating back 100 million years ago. There are displays of local fauna, flora, reptiles, birds and fossils that have lived in this region, as well as formation of the Great Artesian Basin and general history of the Isisford area. An audio-visual presentation portrays life in the Isisford area since settlement. The film depicts Isisford as being ‘the middle of everywhere’. The building also houses 60 seat theatrette, cafeteria, local arts and craft displays. A camping fee of AUD3.00 per night is now charged to camp along the Barcoo at the weir and Oma Waterhole. Showers and toilet facilities are available within easy walking distance of the town. The annual fishing competition is held on the last weekend of July, attracting competitors from all over Australia to catch good old Yellowbelly. This is a great weekend for fishing enthusiasts, friends and families catching up and a destination where you can say ‘see you again next year’. Once you spend time on the tranquil Coolibah-lined banks of the Barcoo at Isisford you become a local and find yourself returning again and again. Some visitors stay several months and some find they cannot leave but most return to their favourite campsites filled with memories of special times and great friendships. So visit and have a beer or two with the locals. Isisford is a small Queensland Rural Location within the local government area of Longreach, it is located approximately 929kms from the capital Brisbane covering an area of 10508.812 square kilometres. 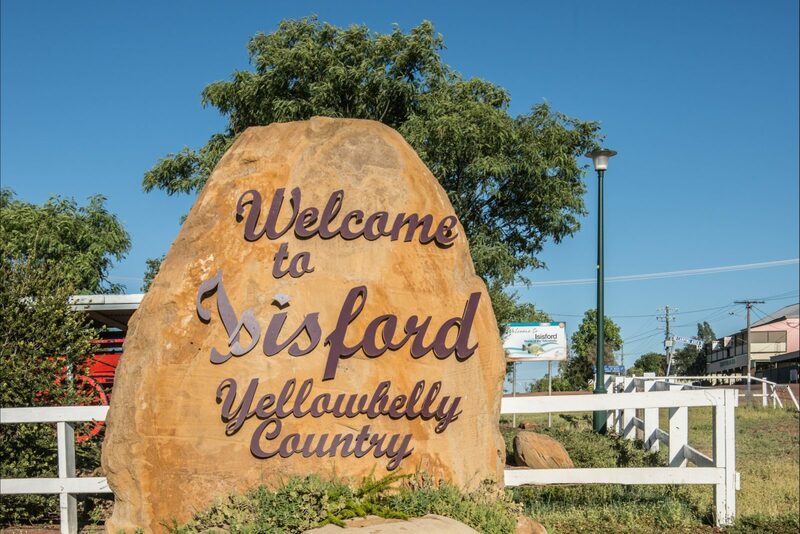 Isisford has a recorded population of 218 residents and is within the Australian Eastern Standard Time zone Australia/Brisbane. If you are planning a visit to Isisford we’ve put together some of the things nearby that you can see or do while you are here. These include, places to stay, tours and attractions, some upcoming events and places where you can grab a meal. Go ahead, try one of the buttons above. Every destination has something worth seeing so start exploring… If you know Isisford and think we’ve missed something, let us know and we’ll share it here.